I was moving gigantic piles of "stuff" and this postcard fell out. 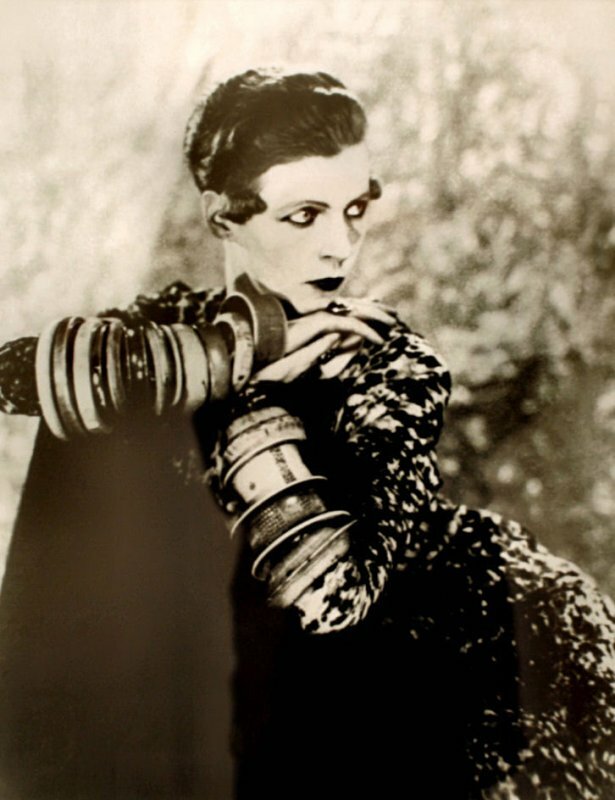 So I just sat down and thought of Nancy Cunard and Man Ray, who shot this photograph. All those bangle would drive me crazy... but then Nancy was a bit crazy, maybe it was the bangles. Her mother may have also contributed to the crazy. NC is one guest I would choose for one those imaginary dinners. Yes, but maybe just for the photograph! She looks incredible ! I can't believe it! what a elegant dress!